Well were finally back at it the snow has mostly melted and septic excavation resumes. Spent most of the day jack hammering rock. Don’t know if you know this but it’s really hard stuff! 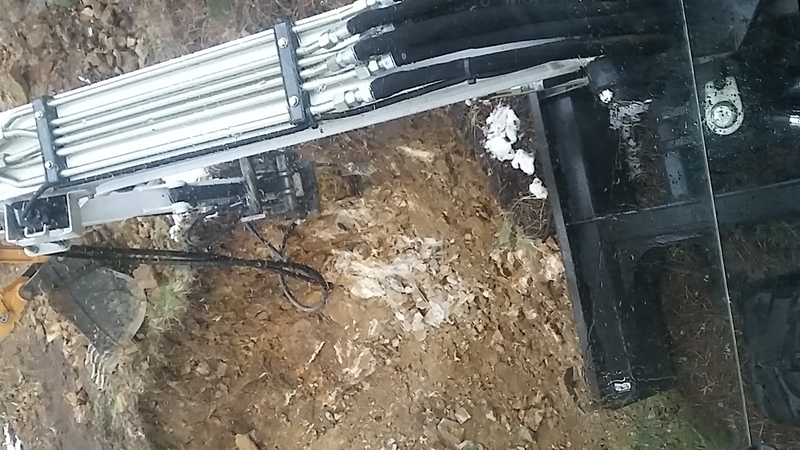 While the process is long, I got one point in the septic leech field to proper depth and we’re hammering away the rest of the rock to match.